Professor Divya Jindal-Snape is Chair of Education, Inclusion and Life Transitions in the School of Education and Social Work. She gained her undergraduate and masters qualifications in India. She taught in an all-through school and lectured in Education for a few years before moving to Japan to do a PhD at the University of Tsukuba. After living in Japan for nearly five and a half years, enjoying research and teaching, she moved to Dundee. Her research interests lie in the field of inclusion, and educational and life transitions (including transitions of international students and their families). A significant proportion of her work has been with children and young people with additional support needs, especially children and young people with visual impairment, autism, learning difficulties, emotional and behavioural needs, and complex life limiting conditions. Her research has led to creation of educational resources to enhance inclusion and facilitate transitions through drama (inspired by Boal's Theatre of the Oppressed), stories, games and other creative art forms. Divya Jindal-Snape is Director of the Transformative Change: Educational and Life Transitions (TCELT) Research Centre. Her research has highlighted the positive, dynamic and complex nature of transitions with the need to understand them as (i) an on-going process that involves moving from one context and set of interpersonal relationships to another, (ii) holistic and dynamic (Education and Life Transitions theory, ELT), (iii) complex multiple and multi-dimensional transitions of significant others and their interaction with an individual’s multiple transitions (Multiple and Multi-dimensional Transitions theory, MMT) including changes in identity, (iv) requiring on-going support to ensure the wellbeing of the individual and significant others such as their family, peers and professionals. 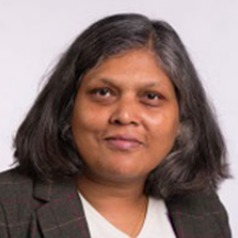 She has acted as research consultant for Communities Scotland, Dundee International Women's Centre, Volunteer Development Scotland, Scottish Centre for Research in Community Learning and Development, University of Surrey and Youth Link. She has collaborated on research projects and publications with academics internationally, especially in USA, Nigeria, New Zealand, Australia, Finland, Netherlands, Poland, India, China and Japan. She is Associate Director, Centre for Research on Families and Relationships (University of Edinburgh). Divya is interested in doctoral applications in the areas of educational and life transitions, disabilities, inclusion.